You can customize side menu open/close toggle button icon using image URL. 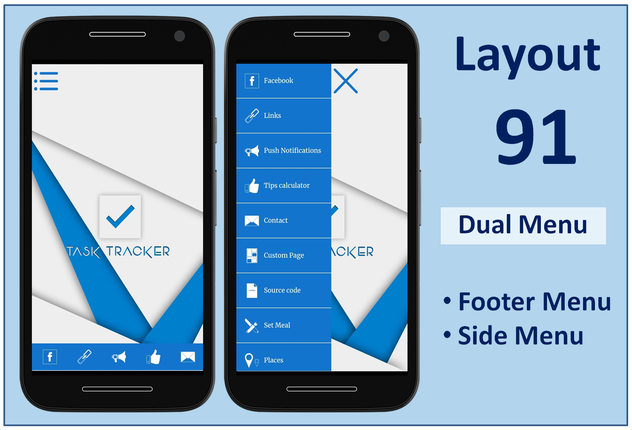 Footer Menu consists first five features of your app. If you want to hide first five features from side menu then you can use nth-child formula in CSS/SCSS section. You can find more information regarding side menu icons here.